He said his message to the world has always been that President Buhari was â€˜deadâ€™ and was replaced by another individual, Jubril Aminu Al-Sudani, as a double. Recall that Minister of Information, Lai Mohammed, sparked public interest when he said it was â€˜idioticâ€™ to contemplate that the President was cloned. But in his reaction, Kanu said the introduction of â€˜cloningâ€™ into the narrative was a diversionary attempt to confuse the people. His words: â€œWe are going to dismantle the lies of Lai Mohammed and his brother (Senator Ajayi Borroffice), who claims he holds a doctorate degree in genetics and said nobody can clone a 75-yr-old. â€œLai Mohammed re-echoed that sentiment. If youâ€™re not intelligent enough, you will think that Nnamdi Kanu said Buhari was cloned into Jubril (a Sudanese). â€œThat was not what I said. I said Jubril is an impostor. They (the cabal) brought him in to act and behave like the â€˜deadâ€™ Buhari. I never said he was cloned. â€œThe introduction of cloning into the narrative was a ploy to confuse the people. â€œI am very grateful that the Sudanese government are doing something about this by investigating the matter. 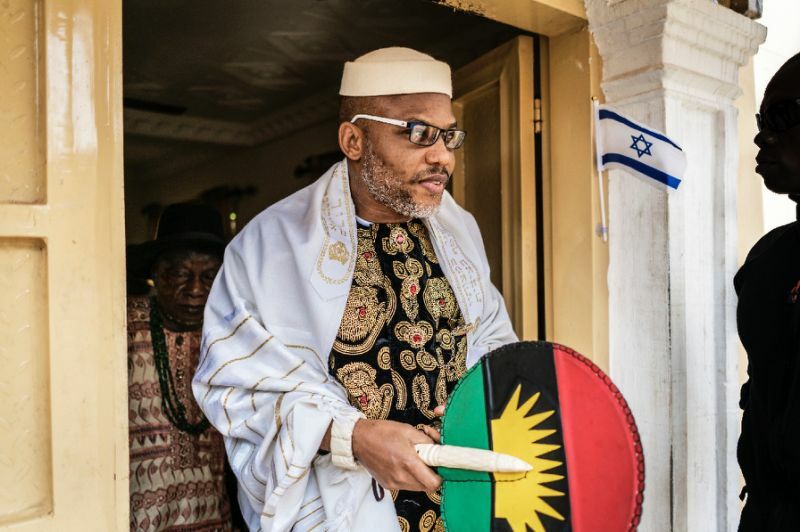 The IPOB leader accused the presidency of shielding the President from getting into close proximity with the troops during his recent visit to Maiduguri so as not to blow his cover as a â€˜fakeâ€™. Kanu further took a swipe at Vice-President, Yemi Osinbajo, over a purported reluctance, on his part, to tell Nigerians the â€˜truthâ€™ about his principal. â€œOsinbajo is a coward that is why he is not President. Dora Akunyili sacrificed her life that Jonathan may become president. Without what she did, nobody had the mettle to speak the truth. â€œAkunyili came and told everybody the truth that Yarâ€™Adua was dead. What they (the cabal) are doing now was perfected then,â€ he added.